Fantastix Coloring Tool For Wet & Dry Media 6/Pkg - TSUKINEKO-Fantastix Coloring Tool. These empty coloring tools are perfect for wet and dry crafts. Absorbent and reusable! Works for all your shading and coloring needs. Great for: chalking, fabric painting, bleaching, gluing, water coloring, blending, touch ups and accenting. 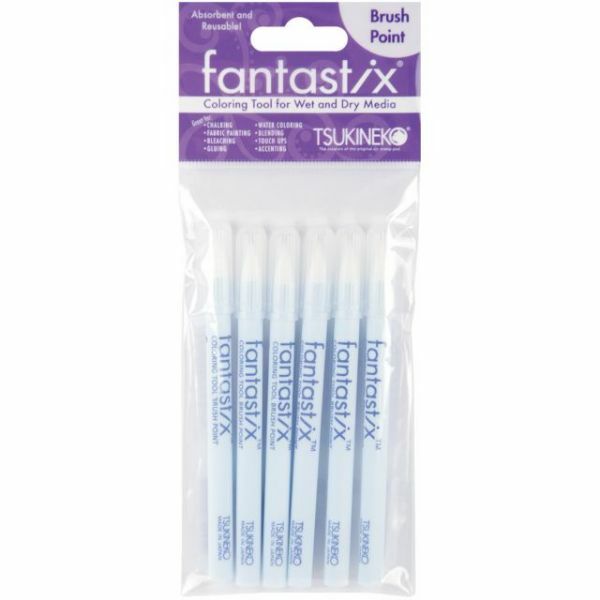 This package contains six bullet, six brush tipped fantastix tools or three of each: each sold separately. Imported.